ANYTHING IN LIFE can be an adventure. It all depends on your point of view. That said… Heading off surfing in the West, in a snazzy new car that’s all yours for the weekend? Well, that surely has to count as a pretty big adventure from anyone’s vantage point. 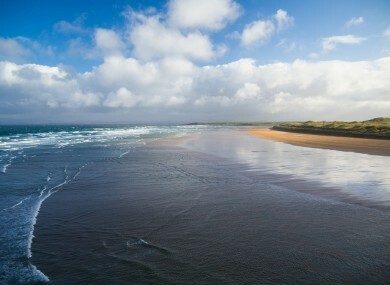 If dropping everything to chase a wave on Ireland’s rugged Atlantic coast sounds like the ideal way to unwind, read on. We’re giving you the chance to win an adventurous weekend away – with surf lessons by Bundoran Surf Co for two fully paid for, two nights’ accommodation in the Great Northern Hotel in Bundoran in the bag, and the loan of a brand-new MINI Countryman to get yourself there and back to boot. For your chance to win, just send your name and contact details to MINIadventure@thejournal.ie. Good luck! Those entry details again: Just send your name and contact details to MINIadventure@thejournal.ie. Enjoy! Terms and conditions: You must be over 25 and hold a clean driver’s licence to win. The winner will be selected at random on Monday, February 27 and announced on this page. Full Journal Media terms and conditions are available here. Email “WIN: A weekend surf adventure for two - and a brand-new MINI Countryman for the drive”. Feedback on “WIN: A weekend surf adventure for two - and a brand-new MINI Countryman for the drive”.